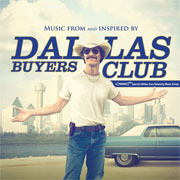 The studio behind the Oscar-winning movie Dallas Buyers Club has initiated legal action to extract cash payments from Australian pirates who obtained the movie using BitTorrent. Perhaps surprisingly one of the ISPs targeted is iiNet, a company that takes a particularly dim view of this kind of activity and one that has already indicated it will put up a fight. Much to the disappointment of owner Voltage Pictures, early January 2013 a restricted ‘DVD Screener’ copy of the hit movie Dallas Buyers Club leaked online. The movie was quickly downloaded by tens of thousands but barely a month later, Voltage was plotting revenge. In a lawsuit filed in the Southern District of Texas, Voltage sought to identify illegal downloaders of the movie by providing the IP addresses of Internet subscribers to the court. Their aim – to scare those individuals into making cash settlements to make supposed lawsuits disappear. Now, in the most significant development of the ‘trolling’ model in recent times, Dallas Buyers Club LLC are trying to expand their project into Australia. Interestingly the studio has chosen to take on subscribers of the one ISP that was absolutely guaranteed to put up a fight. iiNet is Australia’s second largest ISP and the country’s leading expert when it comes to fighting off aggressive rightsholders. In 2012 the ISP defeated Hollywood in one of the longest piracy battles ever seen and the company says it will defend its subscribers in this case too. Chief Regulatory Officer Steve Dalby says that Dallas Buyers Club LLC (DBCLLC) recently applied to the Federal Court to have iiNet and other local ISPs reveal the identities of people they say have downloaded and/or shared their movie without permission. According to court documents seen by TorrentFreak the other ISPs involved are Wideband Networks Pty Ltd, Internode Pty Ltd, Dodo Services Pty Ltd, Amnet Broadband Pty Ltd and Adam Internet Pty Ltd. Although the stance of the other ISPs hasn’t yet been made public, DBCLLC aren’t going to get an easy ride. iiNet (which also owns Internode and Adam) says it will oppose the application for discovery. “iiNet would never disclose customer details to a third party, such as movie studio, unless ordered to do so by a court. We take seriously both our customers’ privacy and our legal obligations,” Dalby says. While underlining that the company does not condone copyright infringement, news of Dallas Buyers Club / Voltage Pictures’ modus operandi has evidently reached iiNet, and the ISP is ready for them. “It might seem reasonable for a movie studio to ask us for the identity of those they suspect are infringing their copyright. Yet, this would only make sense if the movie studio intended to use this information fairly, including to allow the alleged infringer their day in court, in order to argue their case,” Dalby says. The term ‘speculative invoicing’ was coined in the UK in response to the activities of companies including the now defunct ACS:Law, which involved extracting cash settlements from alleged infringers (via mailed ‘invoices’) and deterring them from having their say in court. Once the scheme was opened up to legal scrutiny it completely fell apart. Some of the flaws found to exist in both UK and US ‘troll’ cases are cited by iiNet, including intimidation of subscribers via excessive claims for damages. The ISP also details the limitations of IP address-based evidence when it comes to identifying infringers due to shared household connections and open wifi scenarios. “Because Australian courts have not tested these cases, any threat by rights holders, premised on the outcome of a successful copyright infringement action, would be speculative,” Dalby adds. The Chief Regulatory Officer says that since iiNet has opposed the action for discovery the Federal Court will now be asked to decide whether iiNet should hand over subscriber identities to DBCLLC. A hearing on that matter is expected early next year and it will be an important event. While a win for iiNet would mean a setback for rightsholders plotting similar action, victory for DBCLLC will almost certainly lead to others following in their footsteps. For an idea of what Australians could face in this latter scenario, in the United States the company demands payment of up to US$7,000 (AUS$8,000) per infringement.